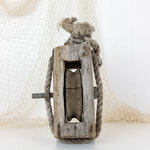 This old wooden pulley has wonderful character. 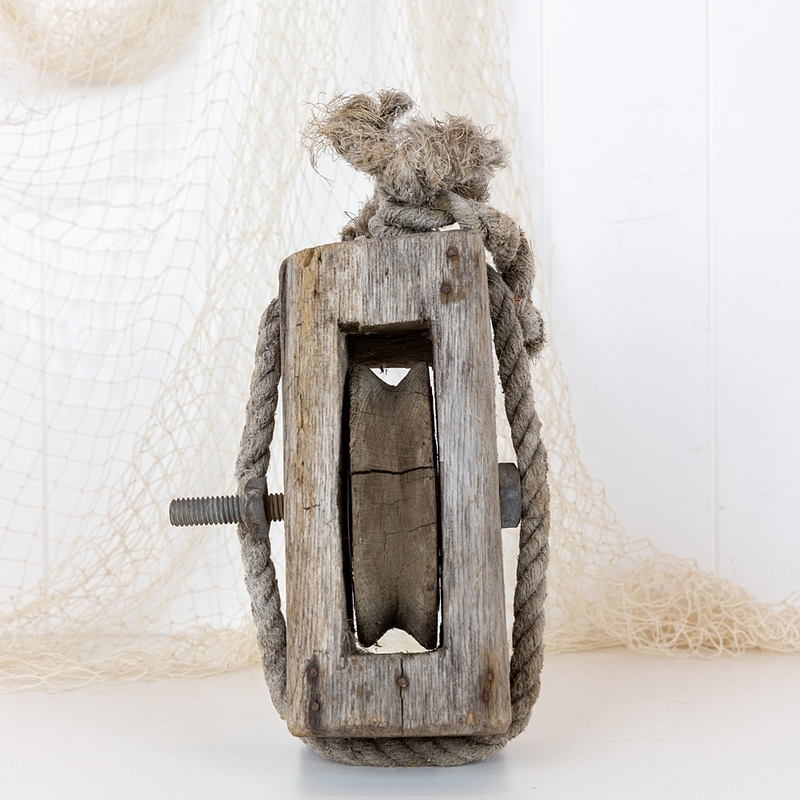 The timber and rope have both developed a soft grey tone after years of exposure to the elements, whilst the old nails contrast with a dark rusty colour. A piece of copper wire has been wrapped on a section of the rope. 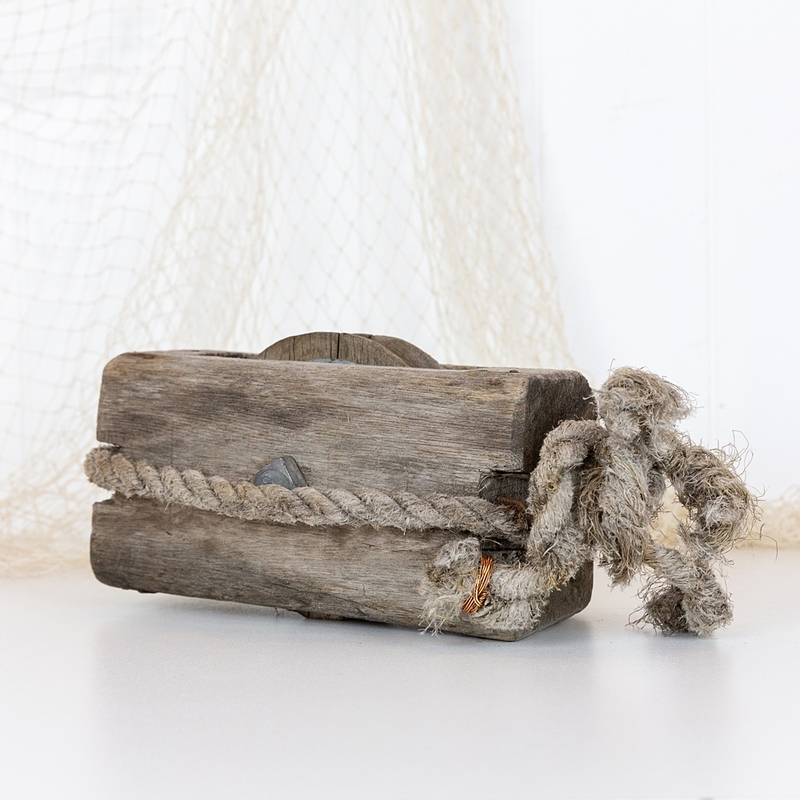 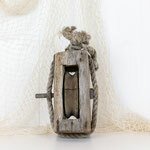 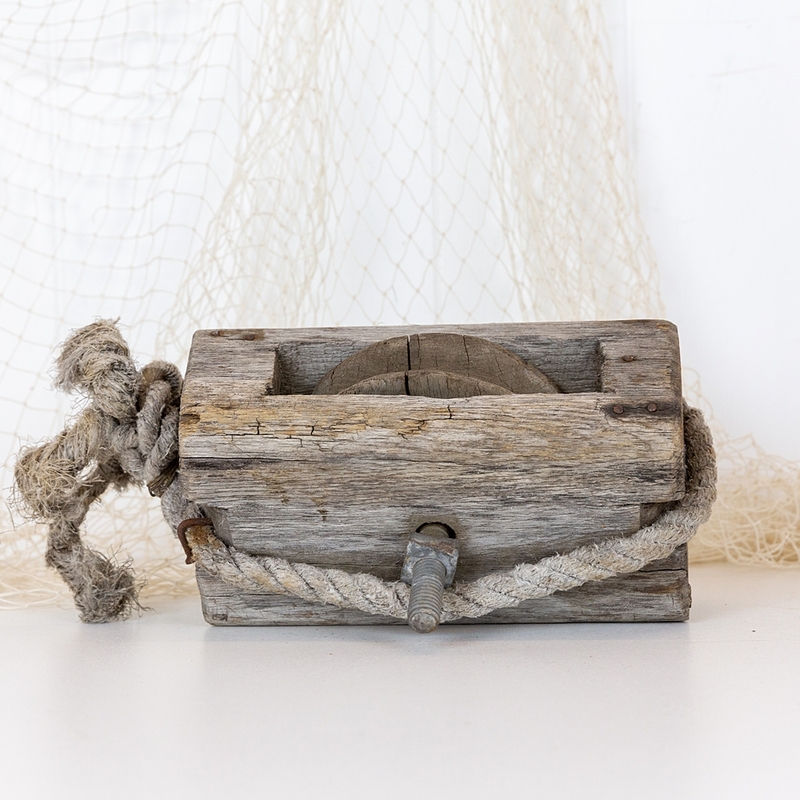 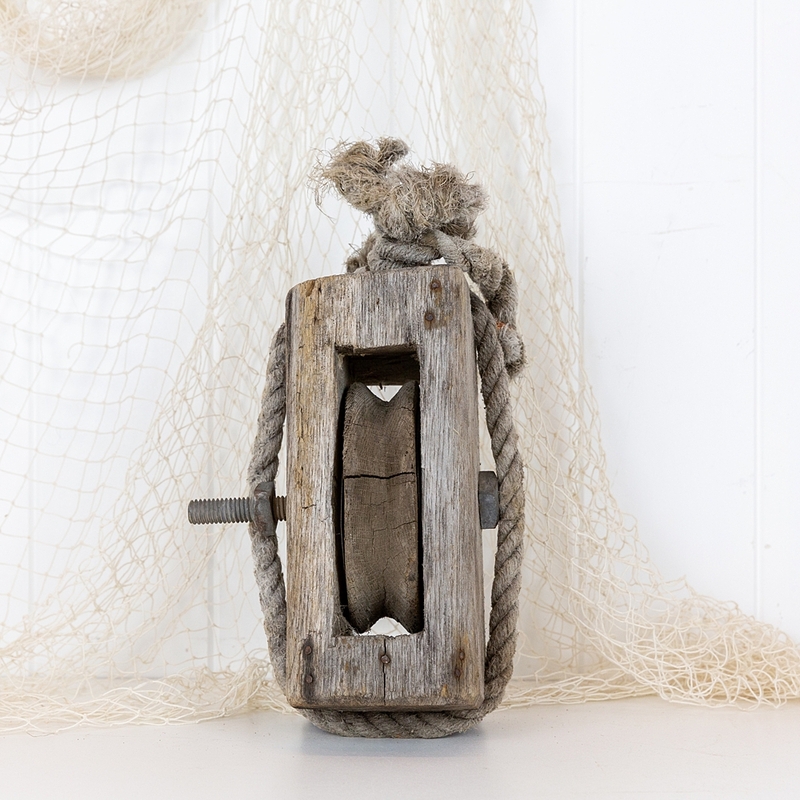 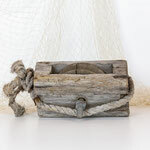 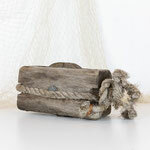 Hang it from a piece of old rope, display it on a shelf, or use it as a nautical door stop!